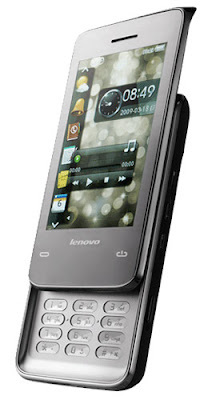 X1 the fabulous motorola-ve66-slider-mobile-feel-like-a-digital-camera/">new model touchscreen handset comes from Lenova proudly. This handset features a 3.2-inch WQVGA display and a slide-out keypad. The company says that it is inspired by other models from several rivals for labeling the user interface “lenova-netbooks-thinkpad-goes-out-and-ideapad-comes-in/">Touch Dream”. 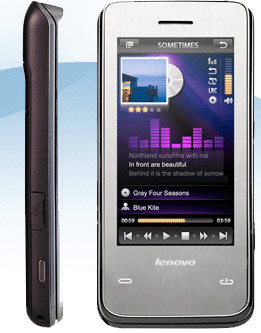 Moreover, the reference of this X1 is also used for the Sony Ericsson XPERIA X1 handset. This handset can gps-in-google-maps-and-google-earth/">support GPS and it brings a MicroSD slot for your convenience of memory expansion. The size of the mobile is 115 mm in length and 12.5 mm thick. This is supposed to work with tri-band lenova-ideapad-u8-mid-offers-dual-boot-system/">EDGE networks and is ready to available in China.